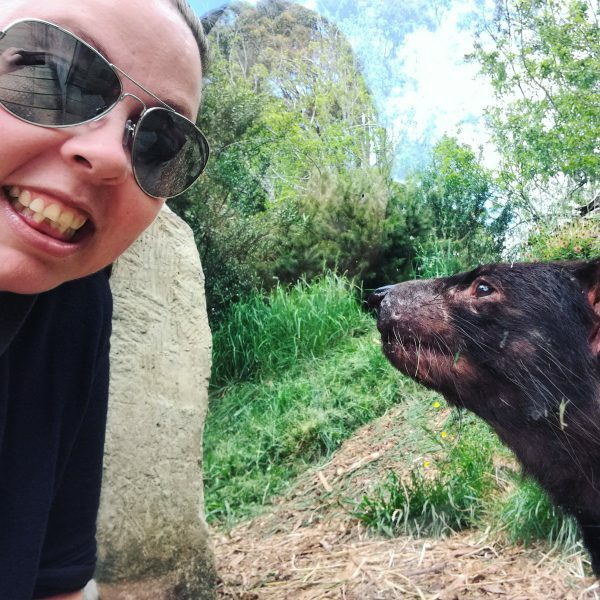 Tassie Devil Abroad is a blog about the adventures of a girl from small-town Tasmania, but it is also so much more than that. It is a place for devilish travellers to get inspired by amazing destinations, read about the most weird and wacky museums and sights out there, as well as find tips and tricks for travel, expat life, and more. Articles about travelling on a budget and making the most of your travel time even if you have a full-time job, house, and pets. Inspiration and information on places to visit to curb your appetite for all things geeky, nerdy or fangirly. Itineraries and information about road-tripping in Europe, since that’s how Dennis and I usually travel. Insider tips and itineraries for the places I have the most insight into (having lived there): London, The Netherlands and Tasmania. Useful information about moving abroad and living as an expat in London and the Netherlands. Anything about being a digital nomad or travelling non-stop. Simply because I’ve never done it but perhaps in the future we might. For more about London or the Netherlands (or any of the places I’ve visited) make sure you check out the Destinations tab on the top-bar for specific places. For castle-lovers or those with a penchant for history, art and culture then you might enjoy my Castle Capers or Culture Vulture series! You can also have a look at the Series tab on the top-bar for more ‘themed’ travel inspirations. If you’re looking to move overseas then you might like to use my How To Move Abroad guides to get started; I have one for London and one for the Netherlands. 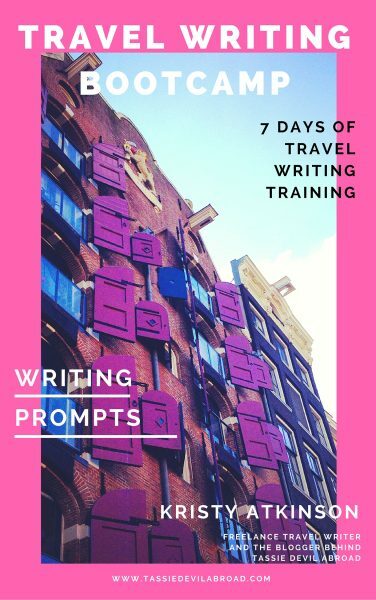 If you’ve ever wanted to take the plunge into travel writing, check out the post Five Ways To Get Started Travel Writing and definitely get your hands on a free copy of my e-book “Travel Writing Bootcamp” for seven days’ worth of travel writing tips, prompts and inspiration! I’m planning to perhaps expand on this in the future, and maybe create an even more in-depth course, so let me know if you would be interested. 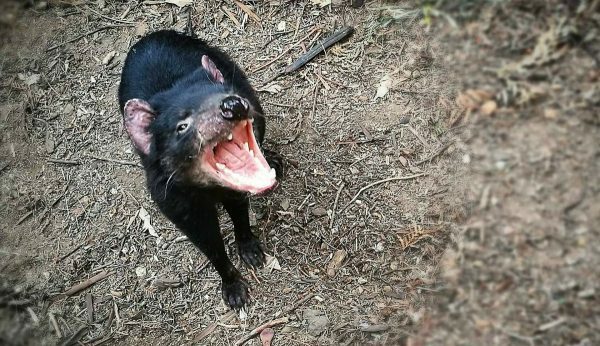 Who is this little Tassie devil you see before you? Well I’m Kristy and I grew up in Tasmania, Australia which – as I’m sure you know – is where the actual Tasmanian Devil is from. Here’s me with one and you can read about how I got this up-close and personal with him here! I’m a writer, a teacher, a dreamer, an animal-lover, a nerd (and a geek) and, of course, a voracious traveller. I grew up reading about amazing destinations and then after gaining a teaching degree I began to combine my job with travel; living and working in Thailand, Western Australia and London; before falling in love with a Dutchman and moving to the Netherlands, where I now live! 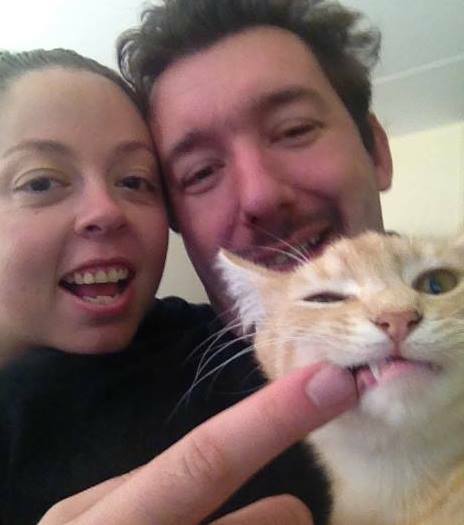 Myself and my Dutchman, with a crazy cat called Zaphod. You can read more about my decision to become a ‘love-pat’ in this post! I began this blog while living in London simply as a way to show my friends and family back home what I was up to, but my loves of travel and writing quickly made it grow to become more; a resource I hope can be useful and inspiring to anyone with similar interests and a desire to travel more, see more, learn more about this world. If you’re interested in working together take a look at my services page to see the kinds of partnerships I offer.